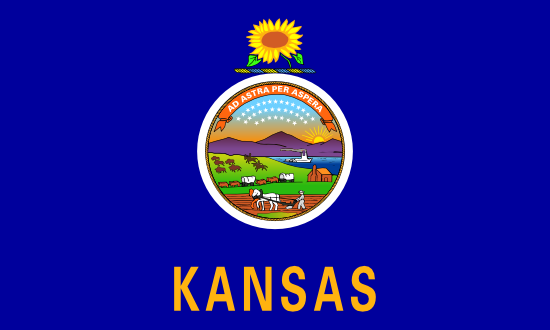 This webpage is mainly about wrongful discharge settlement amounts in Kansas. It will be unusual for great claims to go to court, because they usually settle out of court. However, if they don’t reach settlement, there could be a lawsuit, in which the defendant or the plaintiff will prevail. The majority of these court cases contain mixed verdicts, meaning that they involved a single, or possibly a number of claims of wrongful termination as a result of sexual orientation, gender expression or gender identity discrimination, pregnancy, age discrimination, race, color, national origin, religion discrimination, disability, firing in violation of public policy, whistleblower, workplace retaliation or breach of employment contract. The data directly below exhibits an overview of the various kinds of cases filed along with their particular quantities in the state of KS in 2017. Randall Godinet was a Samoan employee working at MTC’s offices in Manhattan, Kansas. He had always received above average job evaluations. He was assured that he was to be promoted to the position of Residential Living Supervisor, and because of this, he rejected an attractive job offer from another company. Ultimately, another candidate was chosen for the position, and Godinet resigned. He applied for another similar position within the company at another location, but did not win that job either. He went on to sue the company for employment discrimination in violation of Title VII of the Civil Right Act of 1964. In his claim, he alleged that the company made it a goal to only promote African-American employees. This was confirmed by other employees at the trial. Mario Goice had worked for Boeing’s plant in Wichita. He was born in Cuba and immigrated to the USA at the age of 16. He worked at the Boeing plant as an engineer for 26 years after having been an Air Force pilot serving several tours. He applied for a test pilot job when he was 59, which was a better paying position. He was not given the job, which he alleged was due to discrimination against him because of his age and national origin. He complained about this at the company, but the result was retaliation through not awarding him any other openings either. Jake Velasquez worked as a security guard at one of Philips’ plants in Salina. He filed a report with the EEOC after being terminated in retaliation for something his grandfather had done. The grandfather had also worked at the plant, and had previously filed a discrimination lawsuit against the company. When the HR director found out that Velasquez was the grandson, he was immediately terminated. This violates Title VII of the Civil Rights Act of 1964. The EEOC filed a wrongful termination due to retaliation lawsuit against Philips. Employees cannot be discriminated against because they themselves, or a family member has engaged in protected activity. When thinking about this listing of wrongful termination verdicts from KS, remember that the bigger amounts are the result of punitive damages. Punitive damages are handed out to dissuade companies from doing the same wrongful behavior. Punitive damages are very rare. A large number of claims will settle for approximately $20,000 to a couple of hundred thousand dollars. This report on wrongful termination verdicts in Kansas is meant for informational purposes. Even though you may feel resemblance to any of these examples, keep in mind that each case is unique. It’s easy to understand that you would like to determine how much money you could get for your wrongful discharge claim. In the event that you settle, the total amount you get is basically based upon the following: medical costs, lost earnings, benefits lost, reason of termination, costs of finding a new job and emotional distress. Punitive damages can also be awarded in rare cases, if the workplace behaved egregiously. As so you see from the sample lawsuits in this article, providing a median settlement for unlawful discharge cases in Kans. is hard, given that every case is unique. The average wrongful termination settlement in Kansas is between $5,000 and $100,000. Lawyers are usually helpful when it comes to reaching a higher settlement. The majority of court or jury awards are higher, between $110,000 and $400,000. This is definitely a primary reason employers like to settle outside of court. If you think you had been dismissed from your job for an illegal reason, here are tips on what you should do. To start, you should talk to a wrongful termination law firm in Kansas to see whether you have got a claim worth going after. Make sure that you have sufficient time to file the claim, look into the Kansas laws of limitations for wrongful discharge. Additionally, you are going to probably need to submit a timely claim with the local EEOC office in Kansas City. Here are the steps you need to take to file a wrongful termination claim.